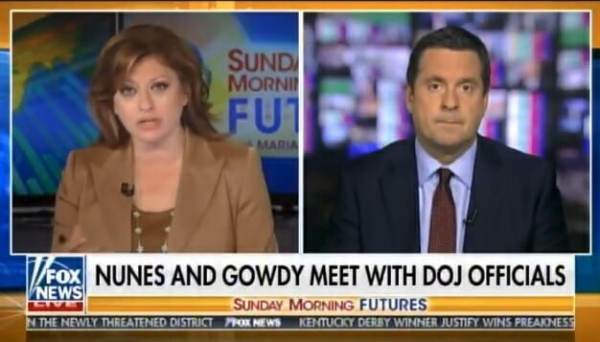 Rep. Devin Nunes (D-CA) joined Maria Bartiromo on Sunday Morning Futures to discuss the latest developments in the Deep State interference in the 2016 US elections. It has been widely reported that the Obama administration had a spy working inside the Trump campaign. As previously reported internet sleuths have determined who the FBI spy was inside the Trump campaign. Jeff Carlson at theMarketswork on Thursday put together a piece where he places an individual by the name of Stefan Halper as a potential FBI spy into the Trump campaign. (Note that some believe that Obama may have had more than one spy on the Trump campaign). It was a lucrative business for Stefan Halper. Stefan Halper was paid a total of $411,575 in 2016 and 2017 for work with the US government that included his work spying on the Trump campaign.